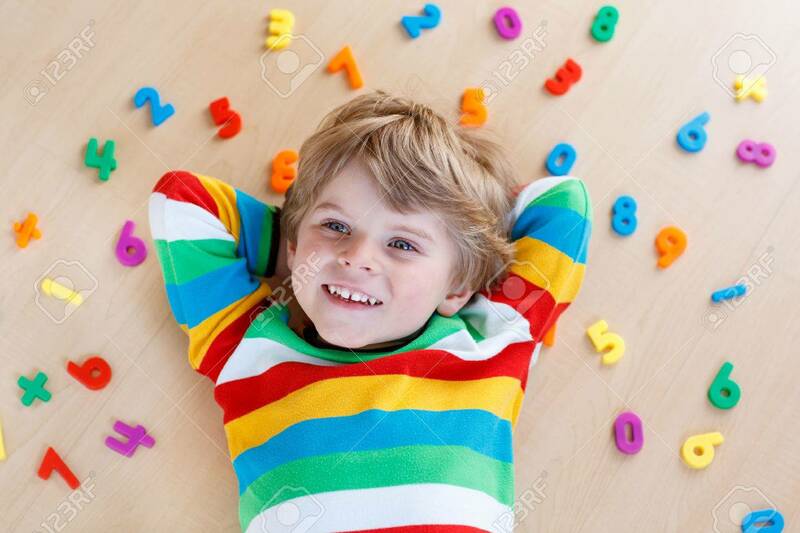 Little Blond Toddler Child Playing With Lots Of Colorful Plastic Digits Or Numbers, Indoor. Kid Boy Wearing Colorful Shirt And Having Fun With Learning Math Royalty Free Fotografie A Reklamní Fotografie. Image 40780174.